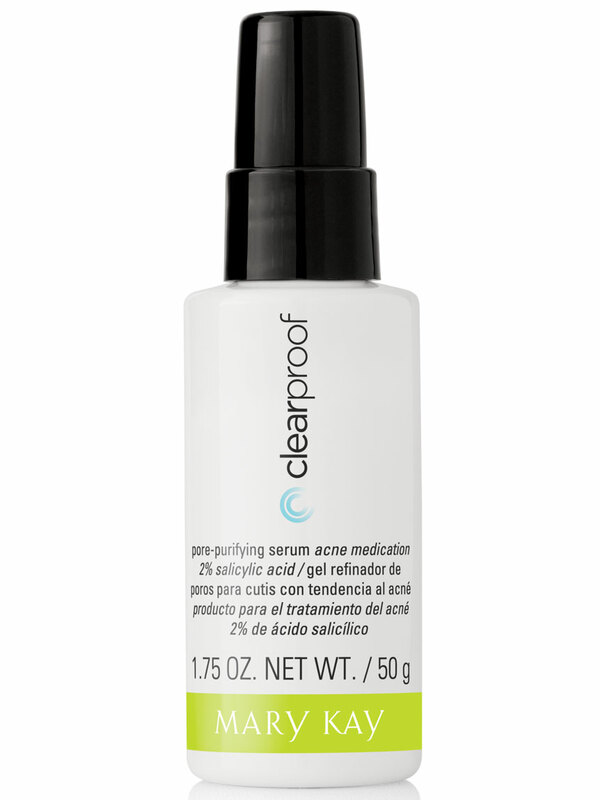 For more acne-fighting power, add the Clear Proof® Pore-Purifying Serum* to your Clear Proof® Acne System regimen. This translucent, leave-on serum helps to clear and prevent blemishes while helping to minimize the appearance of pores and reducing shine. 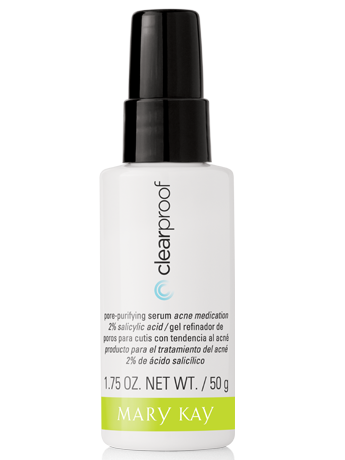 For more acne-fighting power, add the Clear Proof® Pore-Purifying Serum* to your Clear Proof® Acne System regimen. This translucent, leave-on serum contains 2% salicylic acid to help clear existing blemishes and help prevent new blemishes from forming, and it acts like an exfoliant to help keep pores unclogged. It glides on smoothly and absorbs quickly as it helps minimize the appearance of pores and reduces shine. It is also fragrance-free, oil-free, non-comedogenic and suitable for sensitive skin. Salicylic acid is recognized by the U.S. Food and Drug Administration and U.S. dermatologists as an effective acne-fighting ingredient. Salicylic acid acts like an exfoliant to promote the easy removal of dead skin cells. As such, it helps keep pores unclogged and reduce the buildup of P. acnes bacteria. This powerful formula also contains soothing botanicals, including extracts of Canadian willowherb, sea heather, burdock root and avocado pears.